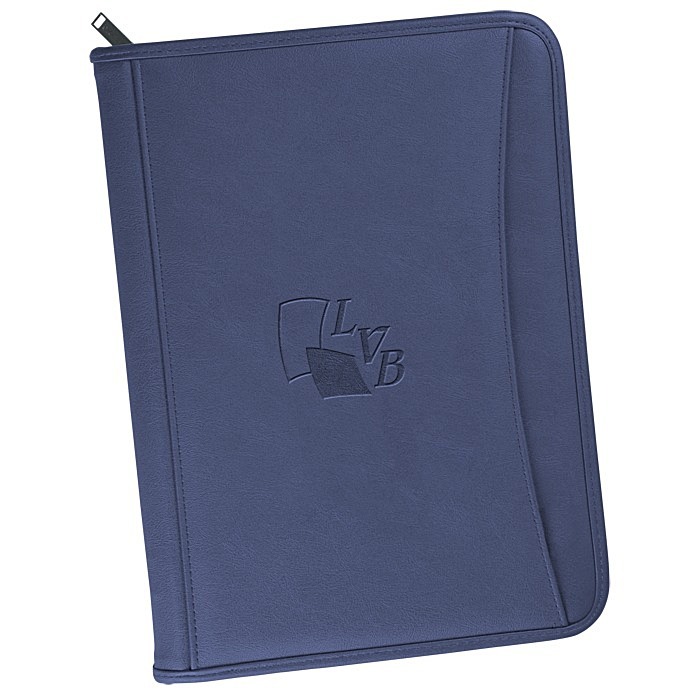 Deluxe portfolio offers abundant storage and organization. 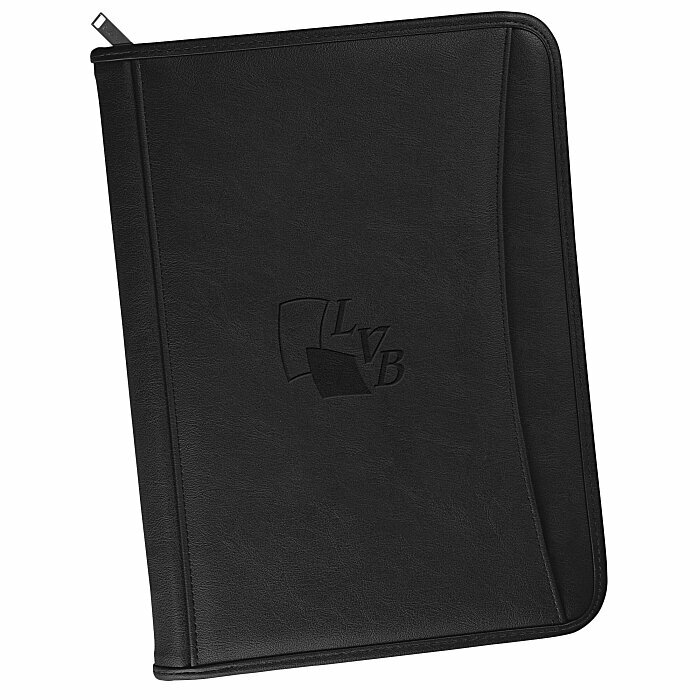 Includes a gusseted interior file pocket; lined, ruled pad of paper; a zippered pocket; and several card slots. Also features a calculator slot, pen loop (pen not included), and clear ID window. Exterior offers a convenient open pocket. Size: 13-1/2" x 10" x 1-1/2". For canvas portfolio, see item #similar item search 17023. Additional imprint location is available for an extra charge.